*DISCLOSURE* Thank you to Hard Candy for providing product samples in order to facilitate this post. All thoughts are strictly my own. 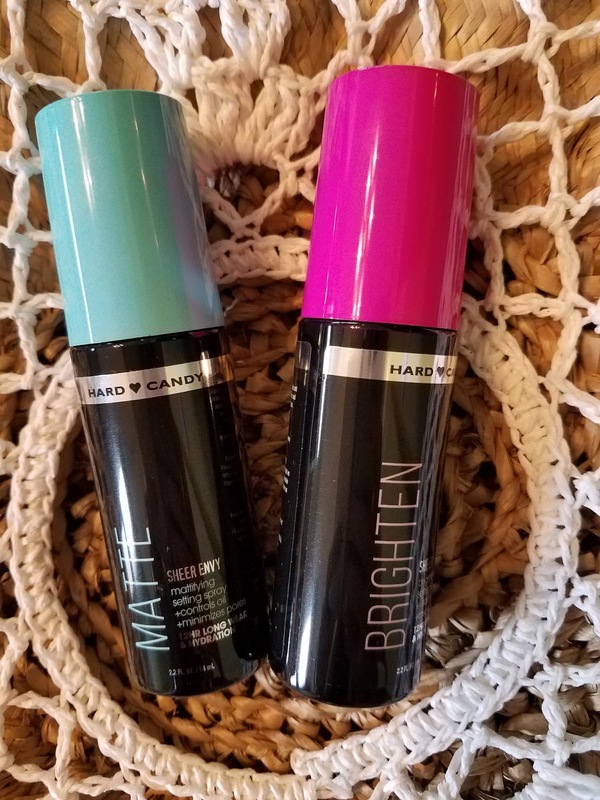 Hard Candy setting sprays come in a couple of different varieties depending on the look you are going for. We tried Matte and Brighten. A really loved the Brighten spray. It helps lock in your look and gives your skin a fresh, bright complexion. It goes on smoothly and doesn't leave behind that sticky feeling some setting sprays do. The Brightening setting spray is infused with Rosewater and Vitamin C and can be used throughout the day to refresh dry or dull skin. 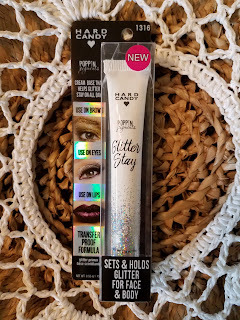 A loves all things that glitter, so she was immediately a fan of this glitter primer. 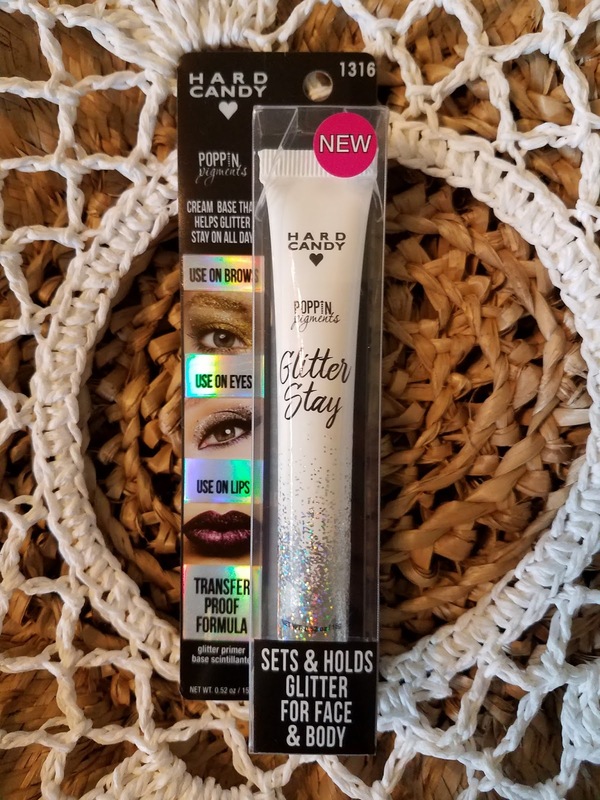 You can use Hard Candy Glitter Stay Primer with loose glitters to add sparkle to eyes, lips, brows, or cheekbones. This primer helps the sparkle to stay put all day long! 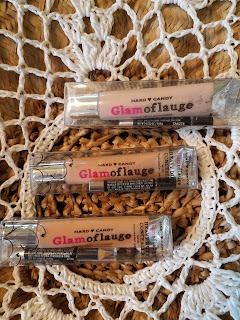 A's baby face skin isn't quite ready for concealer, but mine sure is 😊 Hard Candy's Glamoflauge Concealer is a heavy duty, multiuse concealer that provides the ultimate coverage. It is highly pigmented and helps to even skin tone and cover everything from freckles, to blemishes, to dark circles. 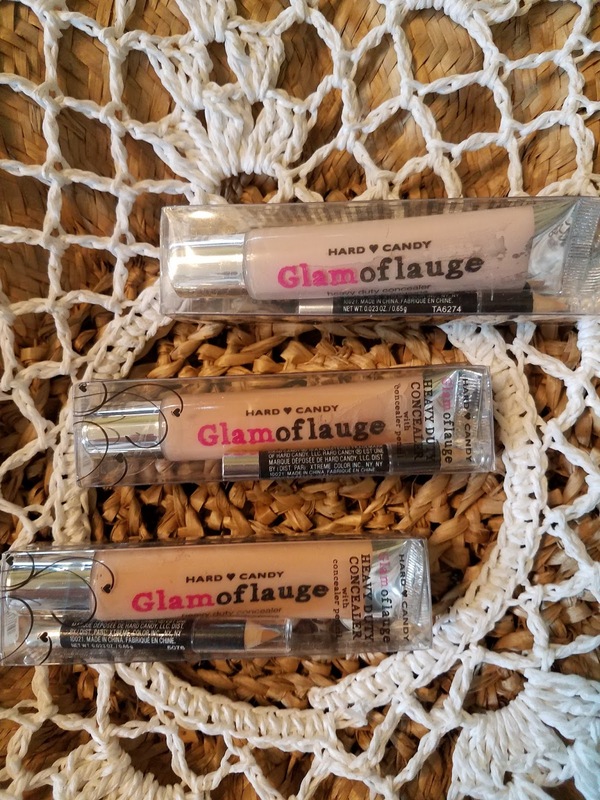 The formula is so pigmented that Hard Candy says it can even fully cover up tattoos! I don't have any tattoos to test this on, but that is a pretty awesome concept! 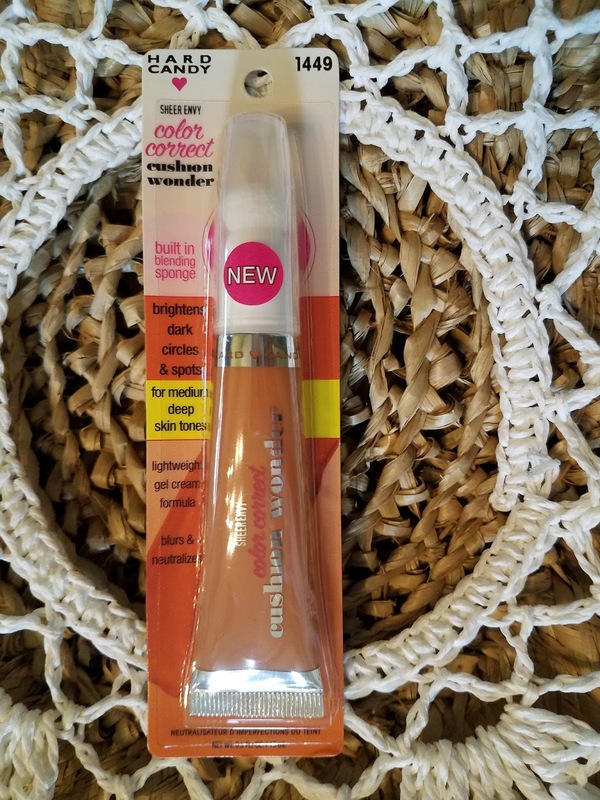 The cream concealer comes with a shade-matched pencil that can be used to precisely outline the spot you are concealing to prevent smudging. 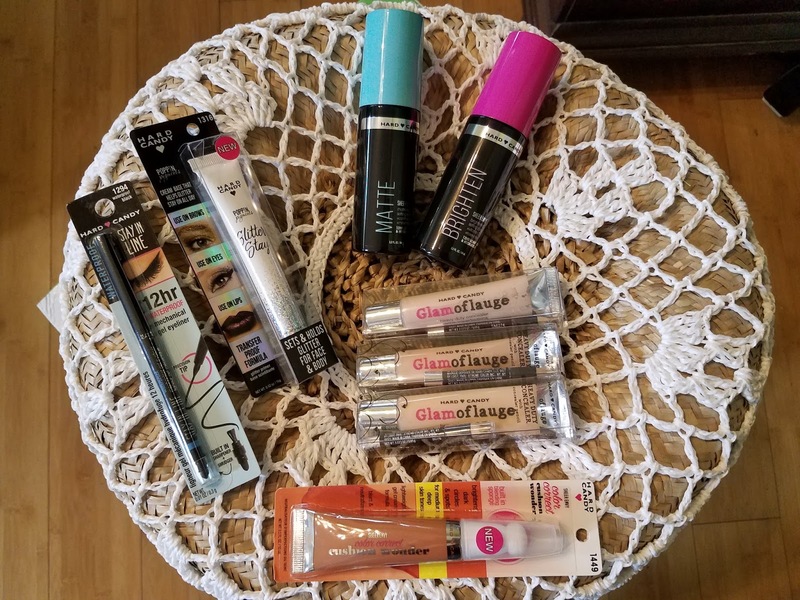 Glamoflauge is available in 15 shades, meaning there is probably one that will work for you. 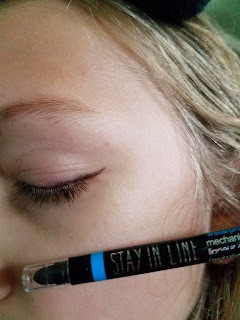 A's favorite product from this roundup was the Stay In Line Mechanical Gel Eyeliner. It has a precision tip with built in sharpener plus smudger. 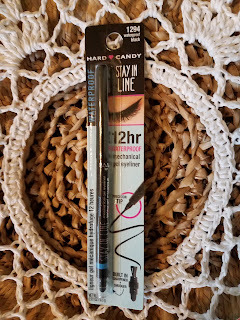 This eyeliner glides on smoothly and precisely, then stays in place for 12 hours of smudge-proof, budge-proof color. Stay In Line makes lining your eyes a breeze! 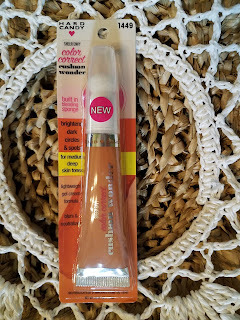 Hard Candy Sheer Envy Color Correct Cushion Wonder comes with a built-in blending sponge and instantly provides weightless color correction of any skin coloration concern. Available in four shades, these innovative cushions are designed to meet main skin coloration concerns. Green cancels redness and blemish marks. Lavender corrects dullness and neutralizes yellow. Peach brightens dark circles and spots. Yellow neutralizes blue, veins, and dark circles. That is some nifty technology! 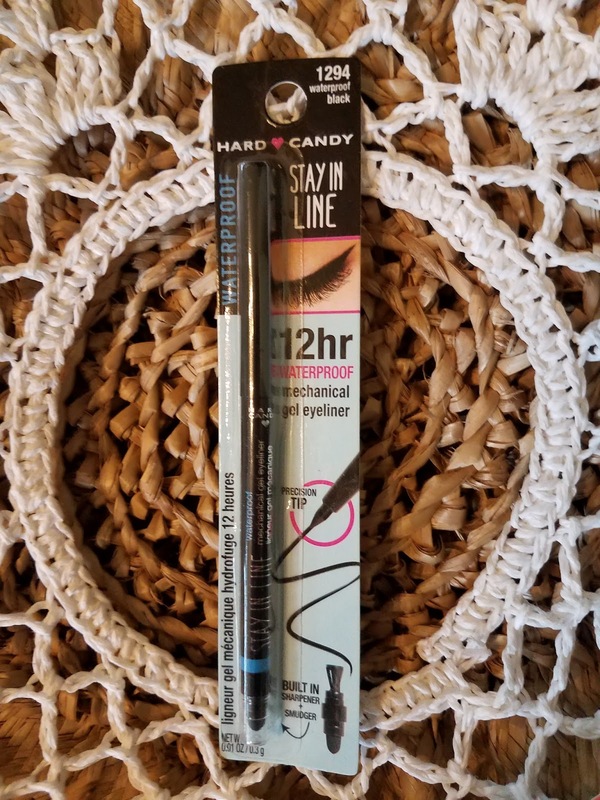 The best thing about Hard Candy cosmetics is that they are VERY affordable compared to a lot of other products on the market. They are easy to find (at Walmart!) and with so many products available, it's easy for any makeup queen to experiment and practice to get THE look without breaking the bank. If you are looking for affordable makeup that is easy to use and lasts all day, check out Hard Candy!